We're Semifinalists for the 2017 Nonprofit Excellence Awards! We’re Semifinalists for the 2017 Nonprofit Excellence Awards! 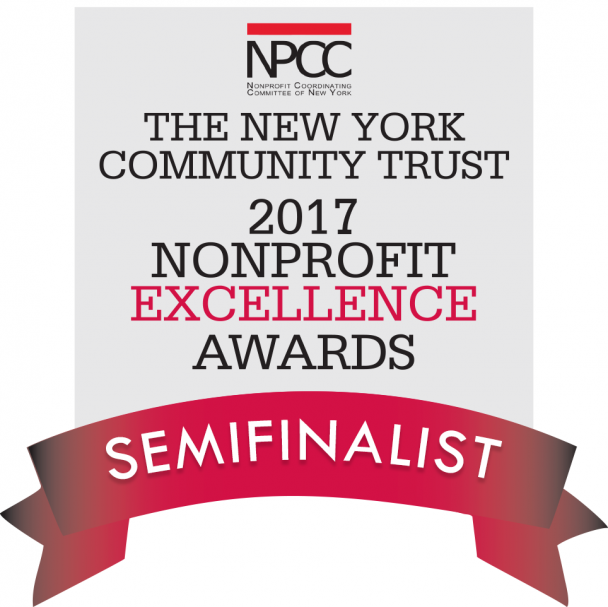 Chicken & Egg Pictures is proud to announce that we are semifinalists for this year’s New York Community Trust Nonprofit Excellence Awards Program. Ten nonprofit groups from across the city have been chosen as semifinalists and will be competing for up to $60,000 in cash prizes and scholarships to Columbia Business School programs. “As an organization that thrives on learning, innovation and high standards of management, making it to the semi-final round of the Nonprofit Excellence Awards means so much to us. We are committed to building leadership across all staff and are looking forward to gaining valuable feedback on our management practices from going through this rigorous awards application process. We believe that it will better equip us to fulfill our mission of supporting women nonfiction filmmakers and advancing gender equity in the film industry,” said Jenni Wolfson, Executive Director, Chicken & Egg Pictures. The winning organizations will be announced during the Best Practices Workshop & Awards Presentation on Friday, December 1, 2017. Learn more about the prestigious award and the other semifinalists here.